The Jack Russell Terrier breed is a small stature, working terrier originally bred in England. The breed is named for their original breeder, Reverend Parson John “Jack” Russell, who developed the breed in the mid 1800’s from terrier stock. Russell was an avid fox hunter, and wanted to create a breed specifically for assisting hunters in tracking fox and other small animals. Every characteristic of the modern Jack Russell Terrier breed, from coloring, stature, personality traits, size, and energy level is connected to their fox hunting origins. The breed remains remarkably unchanged from their original stock over the last 170 years. The Jack Russell Terrier is a complex breed, in the sense that the original Jack Russell Terrier gave rise to three distinct breeds; The Parson Terrier, the Russell Terrier, and the Jack Russell Terrier. While these breeds share a common ancestry and physical characteristics, there are some significant differences. First, The Parson Terrier and the Russell Terrier are both recognized by the AKC, while the Jack Russell Terrier is not. This leads to the second main difference between these breeds. According to the Jack Russell Terrier Club of America, the modern Jack Russell Terrier breed has been kept from recognition intentionally to maintain and promote its traits and status as a working dog. The third main difference between the three distinct breeds is size. The Russell Terrier stands between 8-12” tall, the Jack Russell Terrier stands between 10-12” tall, and the Parson Terrier stands between 12.5-15” tall. To make these distinctions even more complex, outside of the United States the Russell Terrier is called the Jack Russell Terrier. Although many who own a Russell or Parson’s Terrier in the United States refer to their dogs as “Jack Russell Terriers,” let it suffice that within the United States the Jack Russell Terrier is officially a distinct breed from its two AKC recognized cousins. The Jack Russell Terrier is a tenacious breed that believes it’s small in size. Designed from the ground up for fox hunting, it is impossible to understand its personality without keeping in mind its original purpose. Fox hunting requires a breed to be fast and energetic enough to keep up with and chase down their prey, intelligent enough to match wits with a fox, flexible and brave enough to follow a fox into its den, and obedient enough to listen to commands in the middle of a chase. Jack Russell Terriers are best suited for large properties and owners that have the energy to cultivate their innate ground skills and abilities for the hunt. If you are looking for a small–sized companion dog, the Jack Russell Terrier is probably not the breed for you. Although they can be great dogs for families, and are considered excellent companions, their origins and continued use as hunting dogs result in a few unique conditions to ownership. They are a very high energy breed. Although they have a playful and fun personality, their energy level can be demanding of even the most attentive owners. They can be aggressive towards other dogs or small animals (cats, rabbits, mice, birds etc. ), particularly when their prey drive is triggered. They are very brave, and should generally not be left off leash or they may immediately run and chase down a scent. They exhibit a very strong sense of loyalty towards their owners, and will fight to the death if they feel their owner is threatened. These characteristics combine into a breed that is at times awkwardly juxtaposed upon the modern urbanized world, particularly when owners try to raise them in small confined spaces such as apartments, and fail to give them the high amount of attention they need and desire. Jack Russell Terrier’s will require dedicated training and socialization from a young age. They are an extremely intelligent and high energy breed, so owners are encouraged to put them through their paces regularly to stave off any bad Jack Russell Terrier Behavior. Their intelligence allows them to learn and retain commands very well, however, don’t expect the Jack Russell Terrier to do as well as some other dogs with commands that require them to stay in one place for very long or ignore certain stimuli. Many owners agree that even the best trained Jack Russell Terriers can ignore commands once they are off leash, particularly if they have something to chase. This is, after all, a fundamental part of their nature. Jack Russell Terriers have a lot of energy, so they will need daily rigorous exercise. A short walk around the block will not suffice with this breed. Owners should expect to spend a significant amount of time exercising and playing with their Jack Russell Terrier. This can help avoid some of the common destructive behaviors they exhibit due to boredom. A Jack Russell Terrier lifespan ranges from 13-15 years on average. Without any serious health issues, a Jack Russell Terrier will stay extremely active throughout their life. It is hard to know with complete certainty how popular Jack Russell Terriers truly are. Their origins and upkeep requirements make them a niche breed. Many owners underestimate the time, energy, and special conditions that encompass owning a Jack Russell Terrier, and so they are often abandoned or given up to rescues in adolescence or young adulthood. Jack Russell Terrier’s high energy and activity levels require owners to feed them high-quality food with a good amount of proteins and fats. For optimal Jack Russell Terrier health, owners should avoid food with grain fillers such as soy, wheat, or corn, as these are hard to digest and can lead to allergies that cause coat and skin problems. 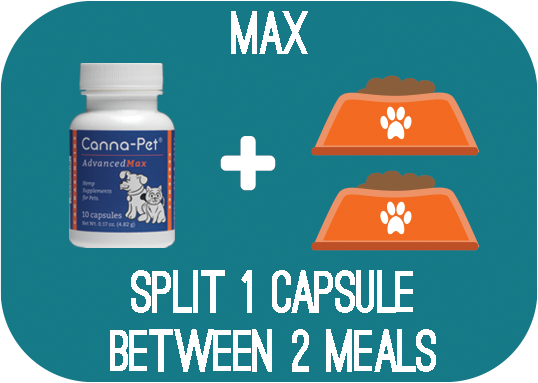 With a high-quality food, expect to feed your Jack Russell Terrier between ¾ to 1 cup of dry food a day, split into two meals. Although Jack Russell Terriers are not predisposed towards weight gain due to their activity levels, the amount of food can be adjusted to be greater if they are actively working on a daily basis. Jack Russell Terriers are known to be easy to groom. Their coat can be smooth but is more often shaggy. They should be brushed a couple of times a week, and brushed after a work or play session to remove any tangles or debris they picked up. Jack Russell Terriers love to dig, which hearkens back to their long history of ground work. Expect to have to give your dog baths regularly because they will occasionally be muddy or dirty if they were in the yard. Regularly check their ears for a buildup of wax or signs of an ear infection. Are Jack Russell Terriers Good with Children? In general, Jack Russell Terriers do well in families with older children. However, they are not recommended for families with younger kids. This is because a Jack Russell Terrier will sometimes respond to harm, even if unintentional, with aggression. Jack Russell Terrier owners should teach their children, and their children’s friends, to handle and treat their dogs with respect because although they look like a small companion dog breed, they have been bred as a hunting and working dog. A well-trained Jack Russell Terrier, with respectful and mindful children, will be an affectionate and loving family dog. Primary Lens Luxation (PLL): Primary lens luxation occurs when the lens of the eye becomes dislocated from its normal position behind the iris and pupil. This results from a breakdown of the ligaments holding the lens in place. Lens luxation often leads to either Uveitis or Glaucoma. Uveitis is a condition characterized by inflammation of the eye, resulting in an eye that looks red and hazy, and is accompanied by tears. Glaucoma is a condition where the internal pressure of the eye is increased due to improper drainage, and can most often be seen visually as they eye begins to expand. Both resulting conditions from lens luxation are extremely painful, and should be treated immediately or may result in partial or complete loss of vision. Lens luxation is a hereditary disease for which Jack Russell Terriers are at an elevated risk of developing. It is encouraged to inquire with the breeder whether their line has had lens luxation in the past. Degenerative Myelopathy: This is a disease that affects the spinal cord, progressively worsening over time until complete paraplegia occurs. Degenerative myelopathy affects older dogs, typically between 8-14 years of age. The condition will initially present as a loss of coordination in the hind legs, resulting in a wobbling appearance when they walk. Over time this will worsen as the limbs become weaker. As the disease progresses the weakness will sometimes occur in the front legs, and will also result in incontinence. Degenerative myelopathy, while devastating, is not a painful disease. Ataxia: Ataxia is a health issue characterized by loss of coordination in the limbs, resulting in halting or wobbly movement. In Jack Russell Terriers ataxia takes two forms; spinocerebellar ataxia and cerebellar ataxia. Both conditions are devastating, however, they are genetically distinct. Cerebellar ataxia presents very young, often from the moment your Jack Russell Terrier opens its eyes. It will have difficulty performing even basic functions, such as standing, eating, or going to the bathroom. Spinocerebellar ataxia presents later, but still in young Jack Russell Terriers. Typically signs of spinocerebellar ataxia show up around 8 months of age, but signs can begin to show around 3-4 months. This condition presents through an uncoordinated gate, particularly affecting the hind legs. The condition is degenerative, with symptoms worsening over time. There is no definitive prognosis, or cure, for spinocerebellar ataxia. Because it is a recessive disease, meaning both parents must carry the genetic marker and pass it on to their offspring for it to present, the best way to address spinocerebellar ataxia is to ask your breeder if the parents have been tested for it or if any Jack Russell Terrier in the line has ever suffered from it. Progressive Retinal Atrophy (PRA): PRA is a degenerative disease affecting the photoreceptor cells in the eye. Photoreceptor cells are responsible for the eye’s ability to perceive light. A Jack Russell Terrier suffering from PRA will at first have difficulty distinguishing objects in low light. As the disease progresses it can lead to full loss of vision. PRA is a hereditary condition, meaning it is inherited from the parents. As such it is important to inquire with your breeder if their line has any history of PRA being present in parents or offspring. Cataracts: Cataracts are a disease that affects both dogs and humans alike. With this condition, the lens of the eye becomes cloudy or occluded. At first, cataracts will usually not affect your Jack Russell Terrier’s ability to see. However, as the disease progresses, cataracts can lead to partial or even full loss of vision. Cataracts are an inherited disease, so be sure to inquire with your breeder if there is a history of cataracts in the line. Cataracts can usually be surgically treated, so be sure to examine your dog’s eyes during your grooming sessions for any cloudiness. He’s now out walking with the rest of my dogs and is back to his happy self, he has a new lease of life. So thank you guys at Canna Pet so much for giving me my best walking buddy back. Boo is an almost 14 yr old Jack Russell. He just retired after 11 years of service as a therapy dog. He had been getting the Canna biscuits daily and had no lameness or arthritis related problems. Thank you so much for your product and the chance to have her for awhile longer and what seems to be a pain free life full of energy and an appetite.